New. 829 p. Includes illustrations. 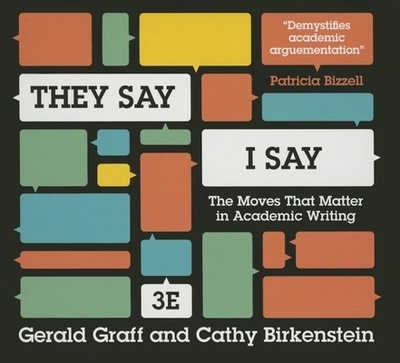 The book that has taught millions of students to present their arguments as a response to what they say has been expanded to define as broadly as possible who s included in they. Readings demonstrate the moves that matter in academic writing. Fine. PLEASE NOTE, WE DO NOT SHIP TO DENMARK. Used-Like New CD. Shipped from UK in 4 to 14 days. Established seller since 2000. Please note we cannot offer an expedited shipping service from the UK.